The bone graft is used to fill in a defect in the bone, or fuse a fracture or joint. An incision is made over the bone defect, and the bone graft is shaped around and inserted into the defect. 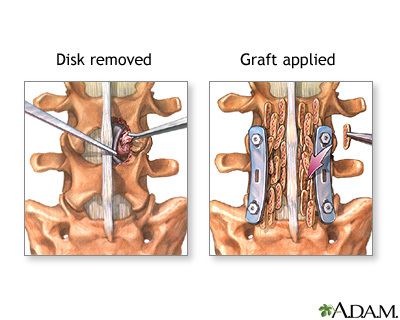 The graft is held in place with pins, plates, or screws. The incisions are stitched (sutured) closed. A splint or cast is used to prevent injury or movement while healing.